He is the grandson of the British Queen and the fifth in line to the throne and is obviously a part of the British Royal Family. The prince spent 10 years of his adult life serving the military and is currently the husband to the American actress, Meghan Markle. He is not one to reveal plenty of his details to the public but being royalty has pulled him to fame. This critique would enlighten you on the details of his biography, body measurements and more. So, keep at it. Being born into royalty is enough reason to be famous. It was not for a long period after his birth on the 5th of September 1984 that Prince Harry became clothed with fame. Born in St Mary’s Hospital in Paddington, London and named as Henry Charles Albert David, Prince Harry is often referred to as the Duke of Sussex. As per his educational details, Prince Harry was a scholar at London’s Jane Mynors’ nursery school and the pre-preparatory Wetherby School. He later proceeded to Ludgrove School in Berkshire before moving to Eton College. The Prince during his days at college was notable as an academic whiz and in testament to this, he graduated with two A-levels. He was also an athletic person with keen interest with polo and rugby. Upon graduation from college, Harry went ahead to work on a cattle station located in Australia. He also rendered his services to an orphanage home and produced a documentary film, The Forgotten Kingdom. He subsequently returned to the United Kingdom and joined the Military after years of training at the Royal Military Academy Sandhurst. The prince officially became a member of the army in May 2005 and within two years of service was promoted to the rank of a Lieutenant. He stayed put with the Army for ten years, rising from one military rank to another. All through his busy life, Prince Harry had a few relationships, here and there as well as flings. He dated beautiful; charming ladies like Chelsy Davy, daughter of a Zimbabwean billionaire Charles Davy, host Caroline Flack, singer Camilla Romestrand, Mollie King and Cressida Bonas. The American Actress Meghan Merkel became his last stop with women. The two started dating sometime in June 2016 after having a blind date and subsequently announced their engagement on November 27, 2017. Their wedding which occurred on the 19th of May 2018, was the talk of the town. Currently, the pair is expecting their first child. Having served the Military being from a royal family, Prince Harry has accumulated a net worth of $25 million. More so, the royal family is said to have a net worth of $88 billion. In as much as a part of the world knows that Prince Harry was born to Lady Diana, Princess of Wales and Charles, Prince of Wales, there have been controversies that the Prince of Wales isn’t his biological father. 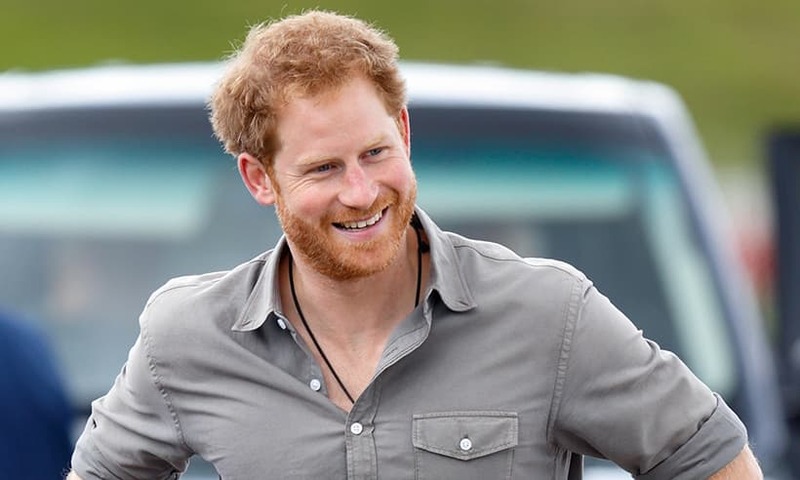 As reported by Cosmopolitan reports, Prince Harry’s paternity has been questioned with many linking his mom’s riding instructor, James Hewitt to be his biological father. This speculation got fueled with the fact that the Prince shares red hair with James. Plus the fact that Princess Diana was once romantically involved with her instructor, a relationship that lasted for over four years before it was annulled. However, James and Diana didn’t get to meet until two years after the birth of her son. According to James, he publicly stated that the prince was a crawling toddler by the time his affair started with the princess. With this public statement from James, he also clarified the fact that even though the hair resemblance between him and Harry is quite evident but he is not his biological father. Also, from findings, Princess Dianna was not born with red hair, her sister Lady Sarah McCorquodale was born with red hair. This suggests that the Princess’ family has a trait of red hairs. 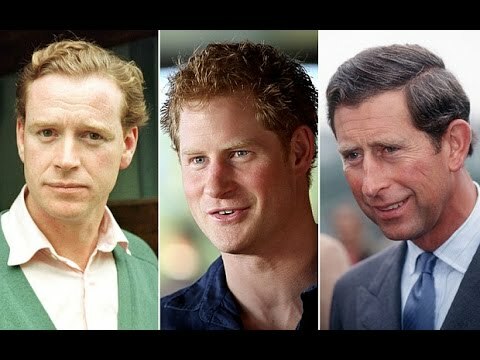 From all available evidence, Charles, Prince of Wales is Prince Harry’s biological father. Even though Prince Charles is not publicly loved like his son, he is still regarded as his dad. Prince Harry has an older brother named Prince William, Duke of Cambridge. He was born on the 21st of June 1982 and is the second in line to the throne of England. William is often referred to as Wombat in the palace and is publicly called Wills by the press. He bagged a degree from the University of St Andrews after attending four different schools. Wills had his own share of military experiences having passed all his training. Currently, he is the President of the British Sub-Aqua Club (BSAC). He is married to Catherine Middleton with whom he has three children: Prince George, Princess Charlotte, and Prince Louis. While growing up, their parents got divorced in 1996 and the following year, their mom died in an auto crash in France. While their mom was alive, she always wanted her boys to have a normal life away from paparazzi and royalty. For this reason, Diana often took them to various resort centers as well as homeless shelters. His mom’s death took a big toll on him taking about two years before he came to terms with the chaos that occurred that period. Prince Harry took to counseling and later became a better person. When it comes to Prince Harry’s looks, you wouldn’t agree less that he is quite a handsome man. Be it for the camera’s sake or not, he often times wears a smile in most of his pictures. He is blessed with a good physique standing at a height of 6 feet 2 inches. He weighs 73 Kg. Harry’s other body measurements include a chest measuring 42 inches, Biceps – 14 inches, Waist – 34 inches.